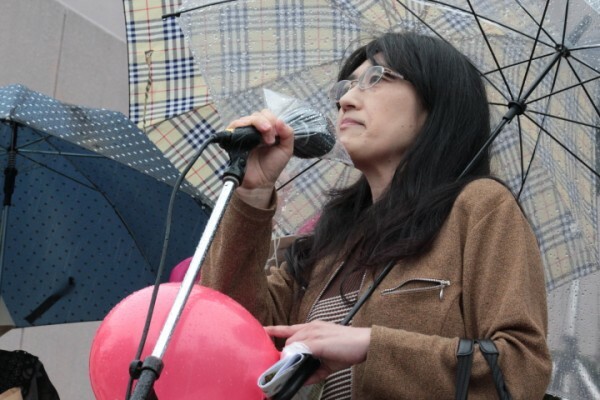 Since the Chernobyl disaster, Ruiko Mutou of the Fukushima Anti-Nuclear Network has been campaigning to get the plants in the prefecture shut down. 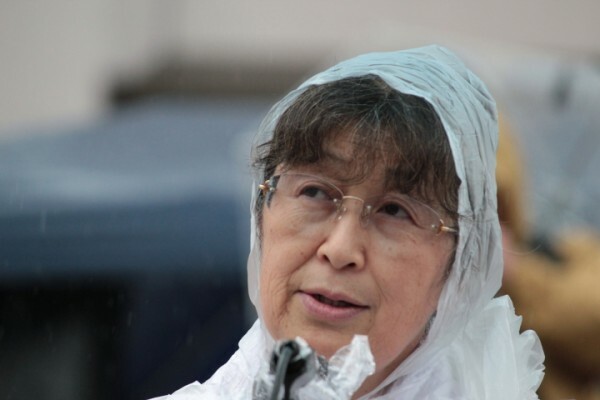 This woman told the crowd that God created nuclear power and don't worry, he'd take care of them. She was quickly separated from the mic. 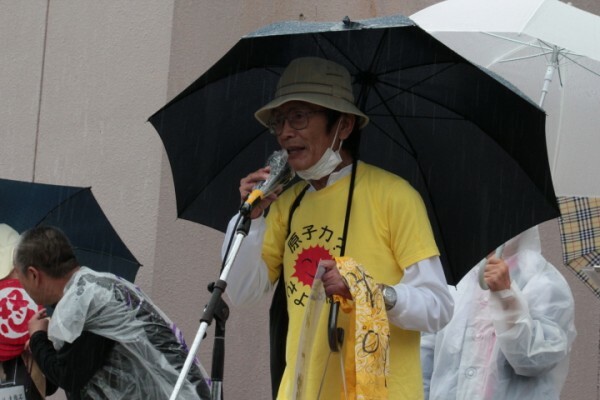 He says people in Tokyo need to take responsibility for consuming the electricity produced by the nuclear power plants in Fukushima. Taihei Maruyama, Seiya Yoshida and Junko Kajino in the Yoshidas' vegetable field. 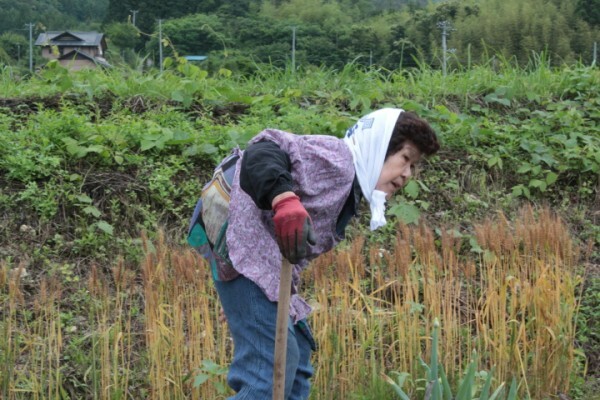 Grandma Yoshida working in the vegetable field. 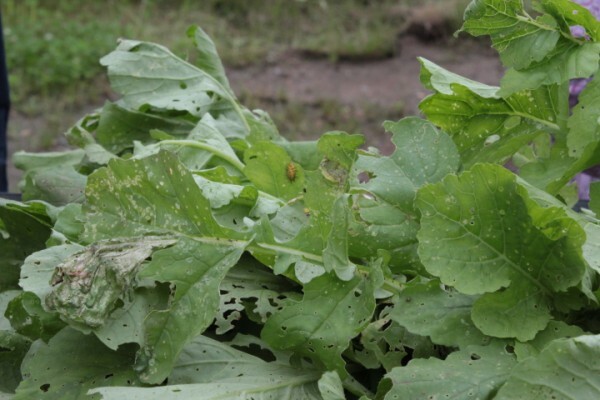 Exotic bugs on the pesticide-free radish leaves. 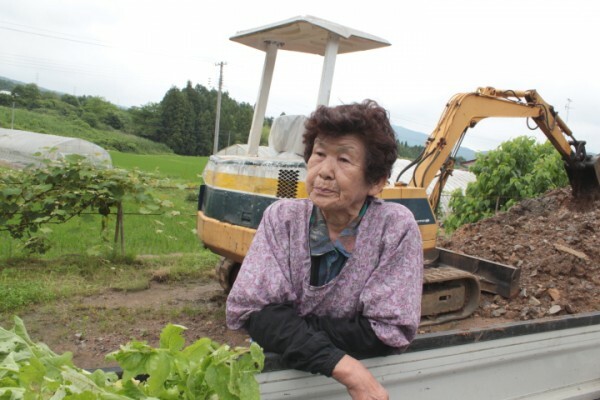 Grandma Yoshida is done with the day's farm work. 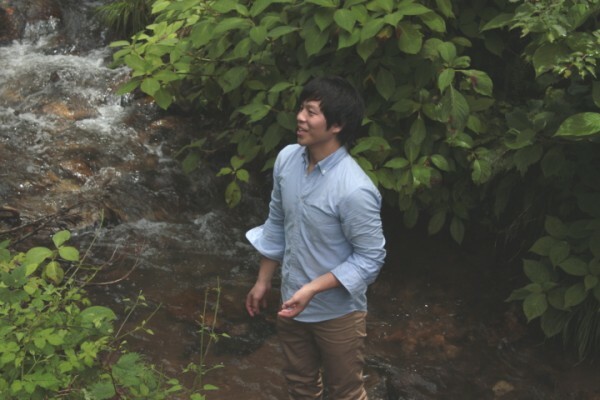 The Yoshidas' youngest son Seiya on a return visit inspecting radiation and earthquake damage to his beloved mountain. 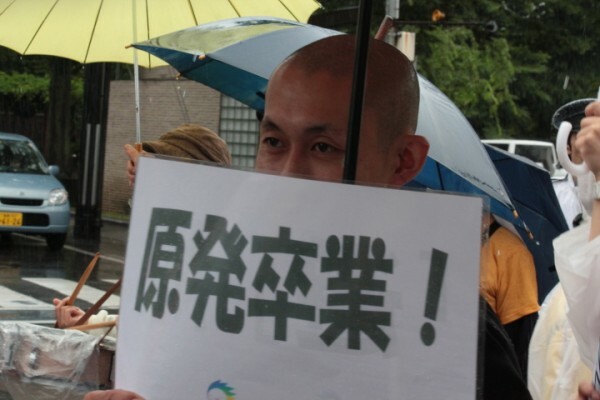 He wants to work for an environmental NGO. 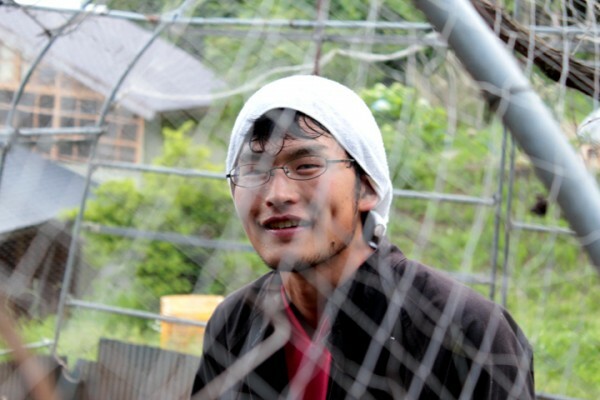 Maruyama, the new Hokkaido University intern on the Yoshidas' farm in Hanawa, Fukushima. 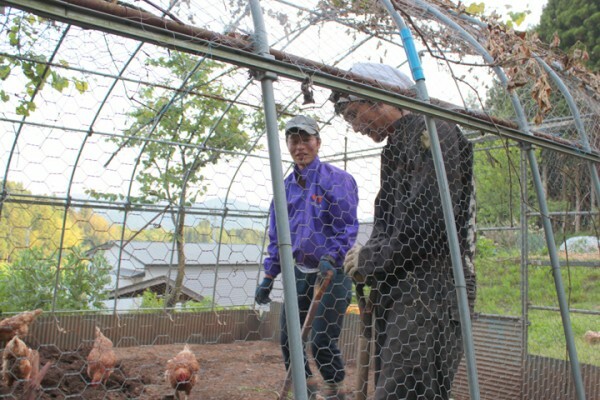 Masanori Yoshida shows Haruyama the ropes in the chicken coop. My horse, my horse, my kingdom for a horse. 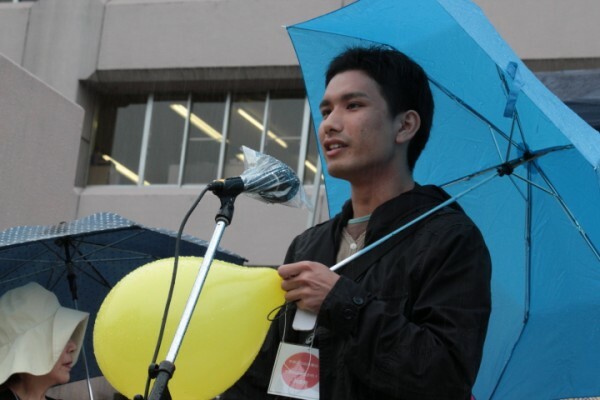 Maruyama recites Shakespeare he learned on a farm in Australia. 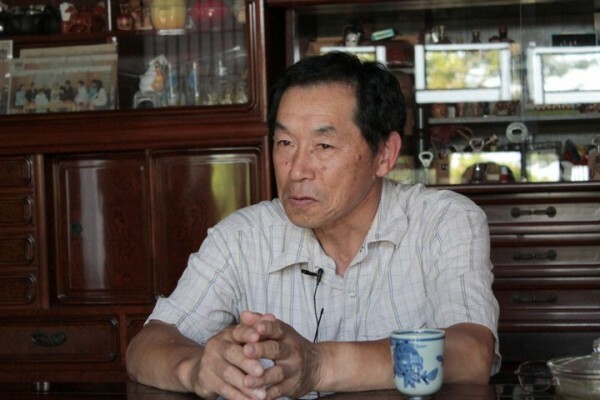 Takahashi was banned from selling rice grown on his land in Nishigo Village, Nishishirakawa-gun, Fukushima, due to soil contamination from the nuclear disaster. But he was also told that to receive compensation for the lost income, he must grow the rice. So he’s planting the crop, expecting it will never be eaten. 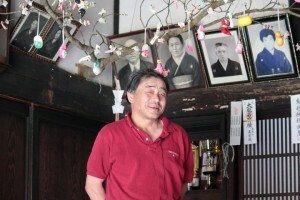 Ohashi owns a successful baked goods company in Fukushima City. 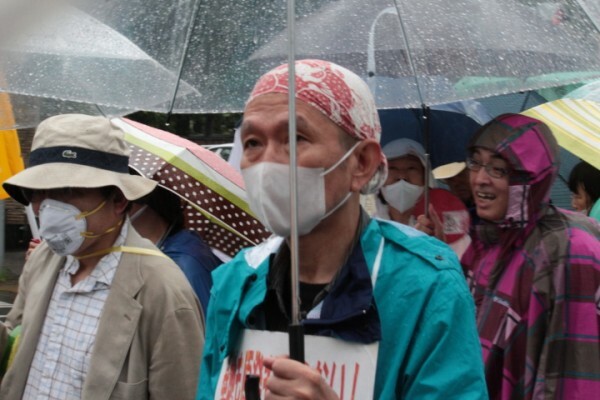 He has used grains from organic farmers in Fukushima Prefecture, but now he may have to look elsewhere. 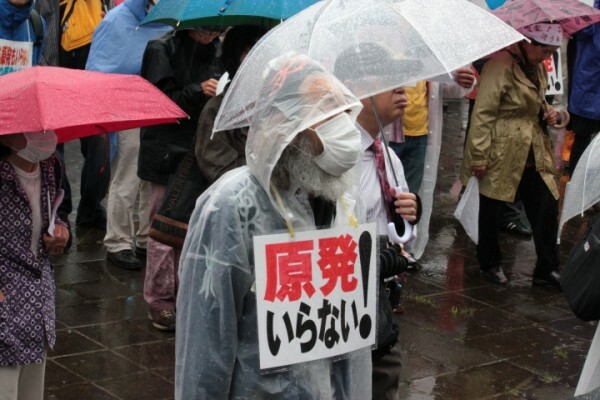 Even if the grains are uncontaminated, the stigma against Fukushima produce would likely hurt sales. 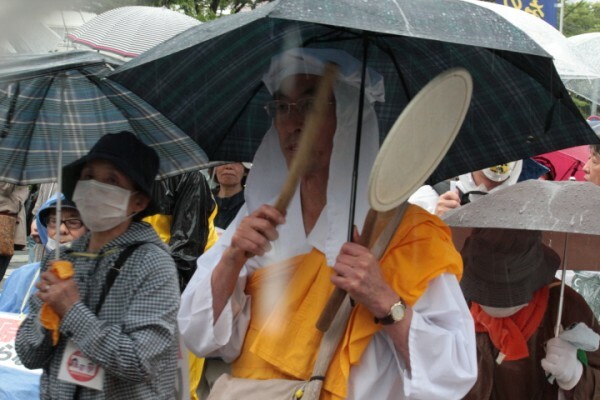 Ohashi’s health is frail but he has no intention to leave despite typical background radiation here of 1 microsievert/hour. 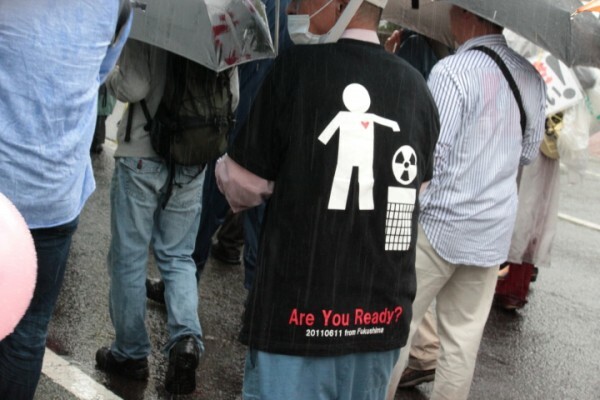 He says the disaster has strengthened local pride, and people here are learning to living with radiation. 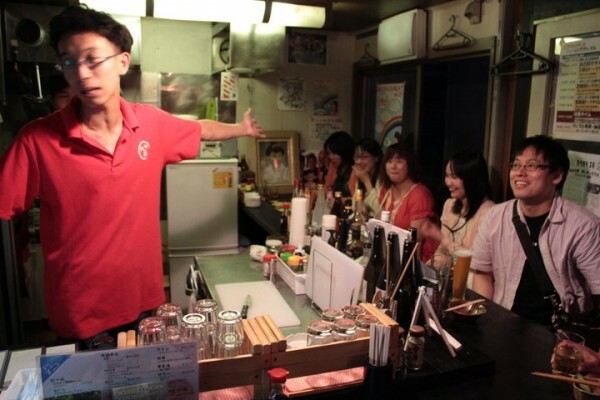 A pair of comedians bartend at the Showtime bar in Fukushima City. I sat down with my camera gear and they kept calling me Michael Moore (pronounced mo-ah). 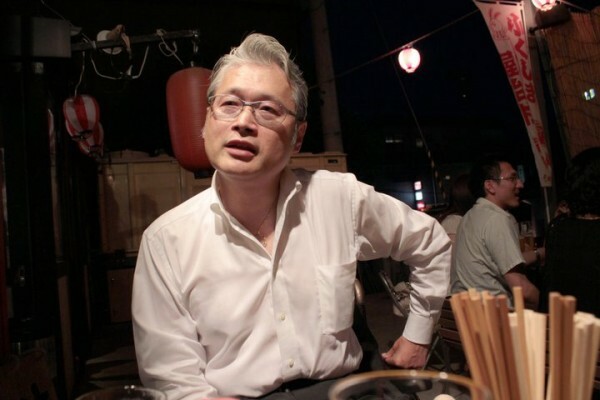 Sugiuchi was banned from selling his crops due to high contamination levels found near his farm in Haramachi. Now he’s researching soil remediation. Mrs. Sugiuchi watches one of their greenhouses in Haramachi being tested for radiation. .7 millirems (7 microsieverts) per hour on the highway in Iitatemura. 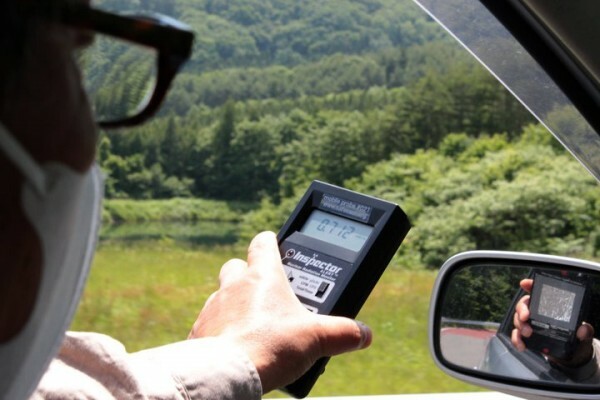 4.1 millirems/hour (14,350 counts per minute or 41 microsieverts/hour) on a mountain road in Iitatemura. The town is mostly abandoned but on Sunday there were some people around. They apparently came back to check on their property. The edge of the evacuation zone in Iitatemura. 40 years ago, Hongo says he was the only person in Samegawa to oppose nuclear power in Fukushima. 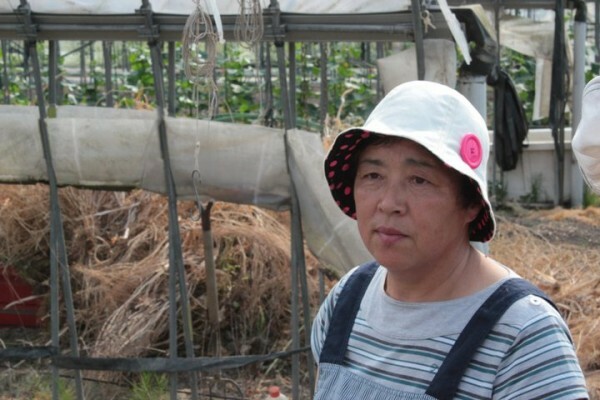 Since the accident, Samegawa has been declared safe for cultivation. But Hongo doesn’t trust the numbers. He’s only growing enough food to feed himself. He won’t feed others crops that could be contaminated. Instead, he’s planting sunflowers in hopes of decontaminating the land. Hiruta has spent decades recruiting farmers from across Japan to join him in the tiny agricultural community of Kaidomari, nestled among tall pines in the mountains on the edge of Iwaki in Fukushima. 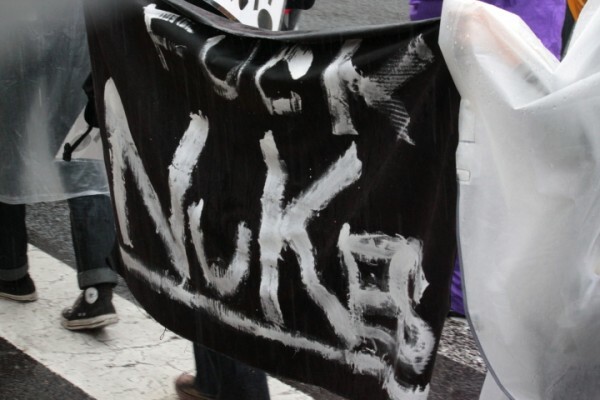 But since the nuclear disaster, especially the younger farmers are fleeing. Fukumoto (left) is returning to Hiroshima with his free range dairy cows, unwilling to let them graze on contaminated grass. Suzuki (center) and her husband are divided about whether to stay or go. 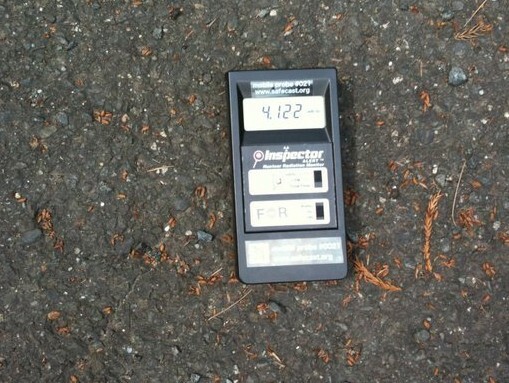 Background radiation here is .4 microsieverts/hour outside, .3 inside. 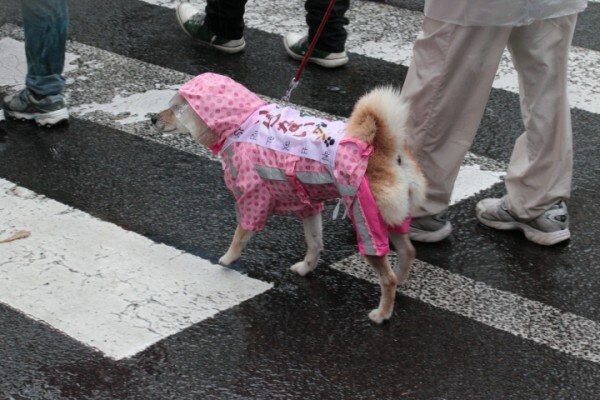 We landed in Japan on 5/24 to and spent our first three days in Tokyo. 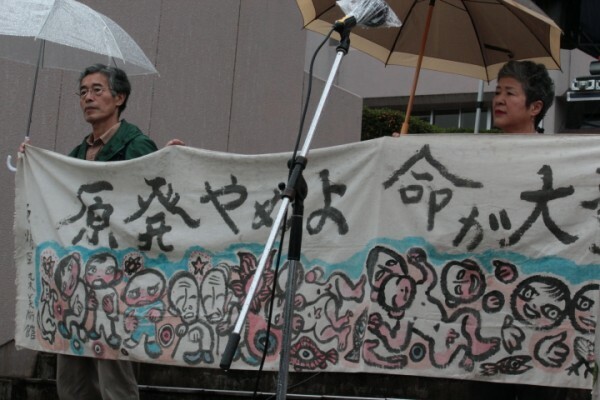 There we interviewed representatives of Greenpeace who’ve engaged in independent testing of land and sea contamination. 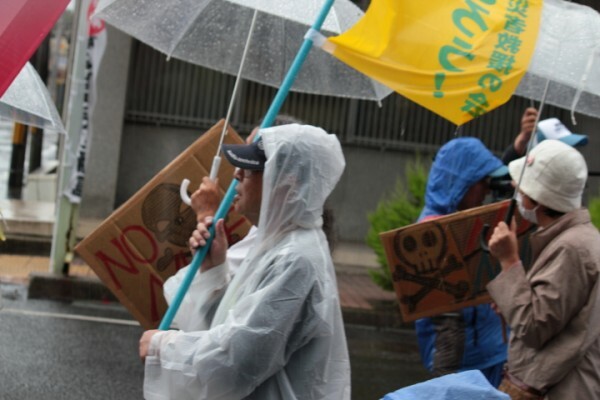 They argue that Japanese authorities have underreported radiation levels, due to some combination of flawed testing methods and an effort to minimize compensation claims, thus jeopardizing the public, particularly children, who are most vulnerable to radiation. Readings are commonly taken a meter high, which doesn’t register alpha and beta radiation emitting from the ground, and doesn’t account for children’s exposure to breathed and swallowed dirt. After a Greenpeace press conference on the contamination they found in sea life off the Pacific coast, we met with Pieter Franken, cofounder of Safecast, a radiation monitoring group that promotes regular people doing their own reading and reporting of contamination levels. Pieter supplied us with an Inspector Geiger counter and instructed us in its use. He showed us levels as high as 350 counts per minute (the equivalent of 1 microsievert per hour) on concrete in his Tokyo backyard. 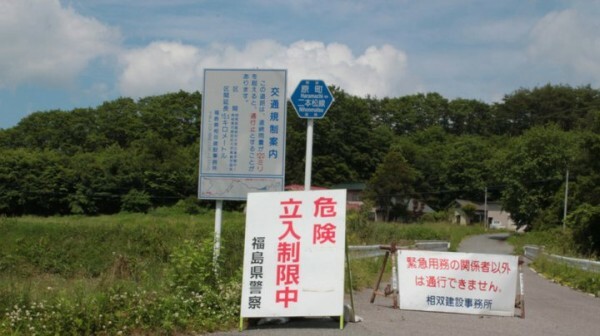 Radioactive cesium apparently fell from above all over Japan and attached itself especially to horizontal exposed concrete, wood and stone. On 5/27 we took a bus to Hanawa, Fukushima, a mountain farming town 45 miles from the crippled Fukushima Daiichi Nuclear Power Plant. 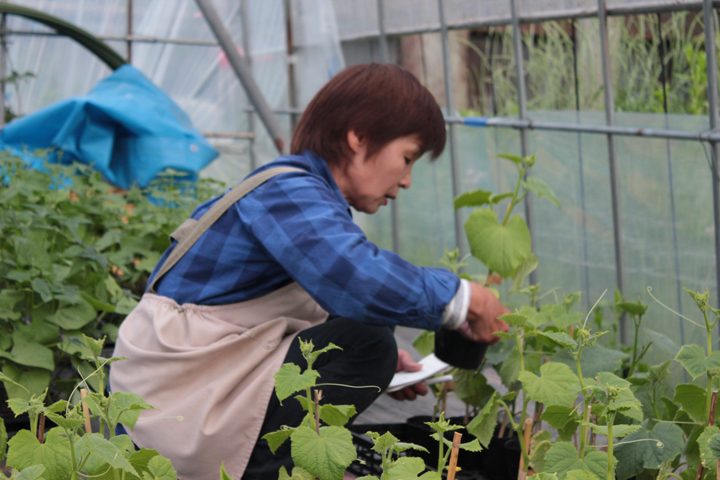 Hanawa was spared the worst of the earthquake, tsunami and nuclear fallout, and the farmers we’ve met mostly see the stigma of being from Fukushima as their biggest obstacle. Soil samples here registered 250 becquerels of cesium 137 and 137, far below the legal limit for cultivation of 5,000 becquerels. The air outside mostly reads about .15 microsieverts per hour, 50% above natural background levels but a fraction of the levels seen closer to the power plant. But there are hotspots here that are much higher. We found levels of nearly 1,000 counts per minute on stones in front of a house where a one-year-old baby lives. We’re staying with the Yoshida family, who’ve farmed this land for nine generations, over 200 years. They grow premium quality rice free of pesticides and chemical fertilizers, that they supply to international consumers and macrobiotic restaurants. Their soil showed low levels of contamination, but it will not be certain whether the rice is contaminated until it’s been grown, harvested and analyzed. So they planted their five rice fields, though orders are down to nearly zero. 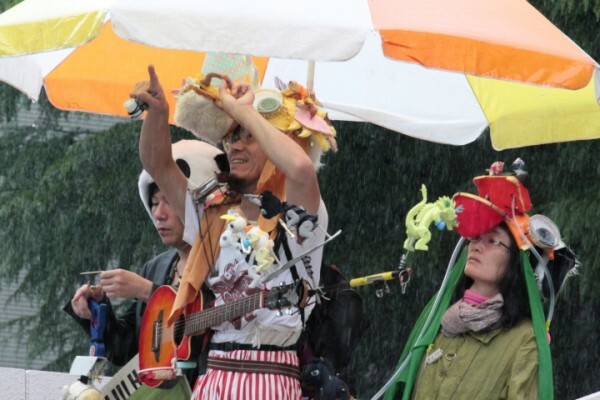 The Yoshidas are not sure they can stay here, but they’re not sure they can leave either. 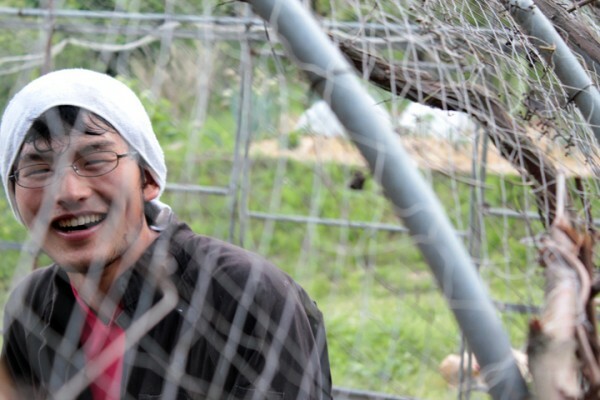 The family patriarch, Hiroaki Yoshida, talks about trying to make the farm completely self-sufficient, so they can survive on what they grow even if they can’t sell their crops. Farmers across the region face similar dilemmas. Those outside the evacuation zone are told to go about their business as normal, so long as their crops stay below the high maximum levels set by the government. But what health risks do they face by staying here, and what risks are posed by foods with legal levels of contamination? In the next few days we will venture closer to the contamination zone. We are committed to follow the farmers through their autumn harvest.